Bilz M., Kell S.P., Maxted N., Lansdown R.V., 2011. European Red List of Vascular Plants. Luxembourg: Publications Office of the European Union. Fournaraki C., 2010. 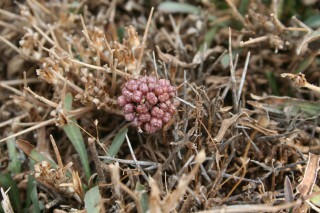 Conservation of threatened plants of Crete - Seed ecology, operation and management of a gene bank. PhD thesis, Faculty of Biology, National and Kapodistrian University of Athens. 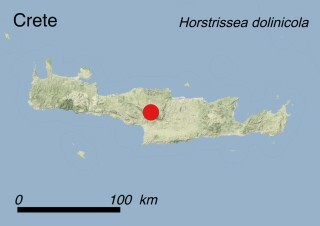 Horstrissea dolinicola is only found on Mt. 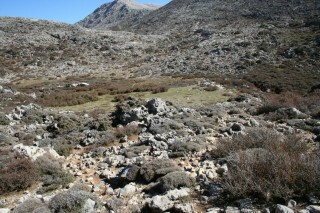 Ida (Psiloritis mountain range) in central Crete at about 1500 m a.s.l., and grows only in a few limestone sinks (dolines) in a region where many goats and sheep graze during the summer season. These sinks are seasonally flooded as they work as outlets for rain (from autumn to spring) and for melting snow (spring) (habitat 6.4: Miscellaneous inland habitats with very sparse or no vegetation). Its total population counts just a few dozen individuals in an area of about 3000 m2. How to recognize it ? 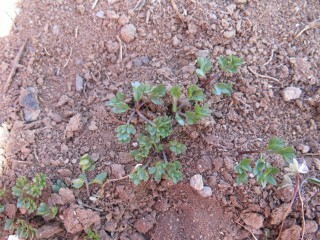 H. dolinicola is a perennial herb with most of the plant growing underground. Its cylindrical root can be as long as 10 cm, whereas its leaves and inflorescences barely exceed 2-3 cm in height. In spring its deeply incised leaves are the first organs to emerge from the ground, covering the soil as a rosette. In summer (July to August) a short stem appears topped by pinkish flowers, grouped in a round umbrella-like inflorescence. Fruits are produced in September. This species was first described in 1990. It is the only species belonging to the genus Horstrissea, which is closely related to the genus Scaligeria. It co-occurs with many other plants endemic to the calcareous mountains of Crete such as Arum idaeum, Asperula idaea, Centaurea idaea, Cirsium morinifolium, Draba cretica, Prunella cretensis, etc. Most of these plants are adapted to withstand extreme grazing pressure inflicted by the numerous flocks of goats and sheep. For example, Arum idaeum is toxic, Centaurea idaea is spiny, while the other ones are very small and prostrate, a strategy which allows them to avoid too much damage due to biting and trampling. 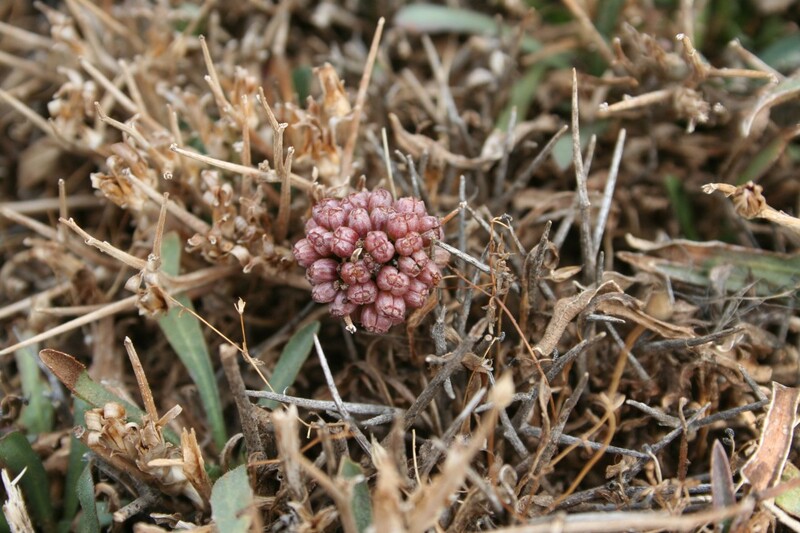 Moreover, H. dolinicola is perfectly adapted to limestone sinks, and has developed a special germination strategy and establishment of its seedlings which take place during the second spring after seed dispersal (occurring in autumn). This species has been categorized as CR (Critically Endangered) according to IUCN Red List Criteria B1ab(ii,v)+2ab(ii,v); C2a(ii). This means that the only site where the species occurs is very small and covers approximatively 0.012 km2. 90-100% of mature individuals belong to one single subpopulation. Moreover, when using a standard 2×2 km grid the AOO and the EOO are both 4 km². In recent years, a degradation of its habitat was observed during field work sessions. It is estimated that there may be less than 100 mature individuals left in the wild. H. dolinicola is mainly threatened with overgrazing, trampling and soil eutrophication both due to sheep and goat excrements, to the punctual use of fertilizers (threats 2.3.2: Small-holder grazing, ranching or farming, 9.3: Agricultural & forestry effluents and 11.1: Habitat shifting & alteration), and by future road construction, as some shepherds already have created several off road paths with their 4x4 cars inside some populations (threat 4.1: Roads and railroads). Legally: Currently there is no legal protection for this species. The plant enjoys indirect protection as its population falls within the Natura 2000 site GR4330005 - OROS IDI (VORIZIA, GERANOI, KALI MADARA). In situ: up to now no specific measures have been carried out in order to perform a better conservation of the dolines hosting the extant populations of H. dolinicola. Ex situ: Seeds of the species are stored in the seed bank of the Mediterranean Agronomic institute of Chania where its germination ecophysiology has been studied. This information is useful for reinforcement or re-introduction measures should the main natural population undergo further reduction. The creation of a Plant Microreserve for the species would ensure the long-term monitoring of its population and the legal protection of its habitat. 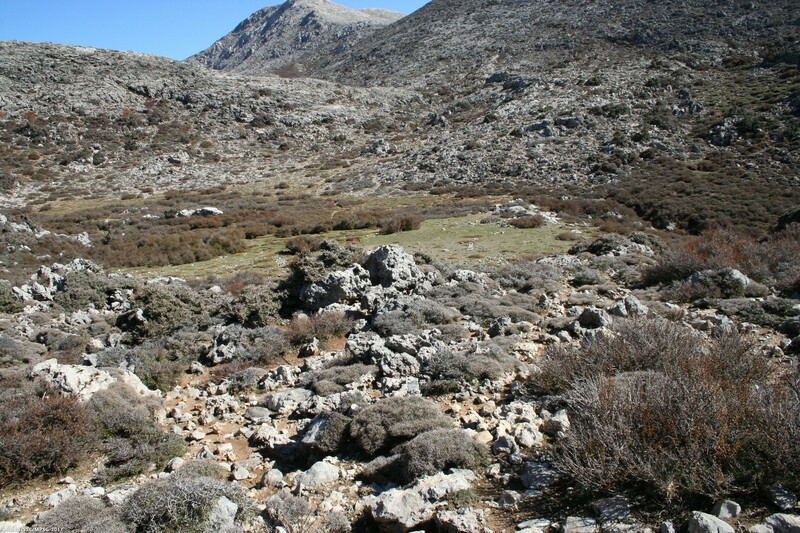 The plant Microreserve network is already established in Western Crete for the protection of 7 threatened plants in the framework of Cretaplant project (LIFE04NAT_GR_000104, 2004-2007). The expansion of the network in other areas of the island of Crete would be relatively easy as the local authorities are aware of the project and would support this idea. Moreover, the project itself would contribute to the awareness of local people, land-owners and users about the importance of this plant. At the moment it would be reasonable to go on with experiments on the seed germination of H. dolinicola in order to use the seeds stored in seed banks for future re-introduction or re-enforcement activities. 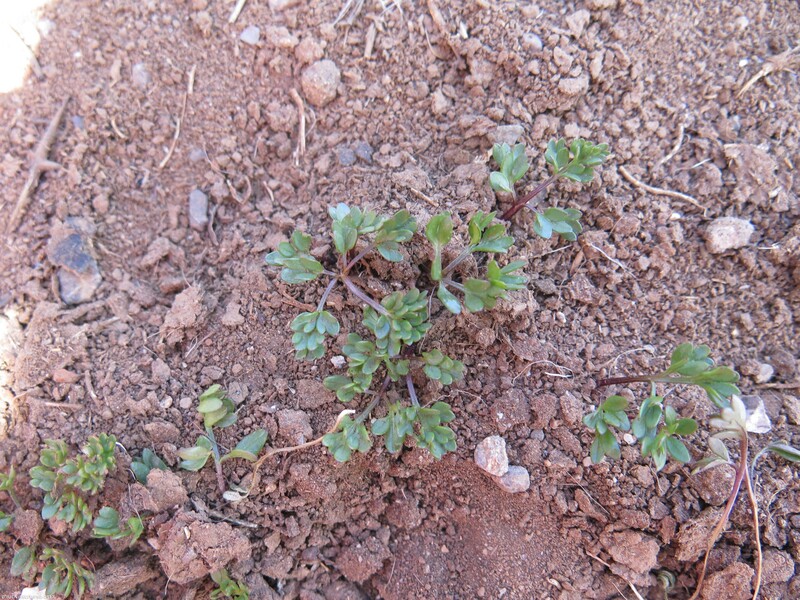 Further field investigations should be carried out in order to find new populations and to better understand the effect of competition of co-occurring plants. Regular monitoring of the number and size of extant populations is recommended in order to check for ongoing demographic trends. Dr. Christini Fournaraki, Mediterranean Agronomic Institute of Chania, Crete, Greece.